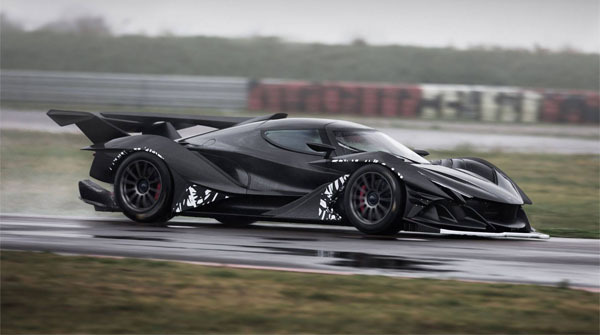 MAXIM - Restricted to a limited run of 10 units, the Apollo Intensa Emozione is an example of a highly anticipated car coming not from monstrous companies with historical legacies (think Ferrari, Lamborghini, Porsche) but from smaller bespoke auto builders like the Germany-based Apollo, which was formed when custom-supercar maker Gumpert was acquired by a Hong Kong investor in 2014. The IE is a masterwork in weight reduction. Apollo uses the latest in advanced technologies and materials to minimize weight; the result is a carbon-iber chassis that allows for incredible torsional rigidity. 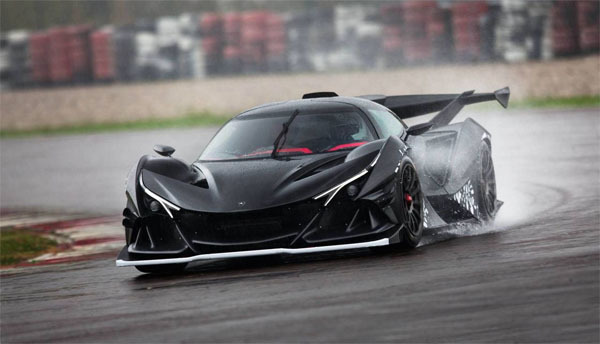 It features a monocoque for safety—also made from carbon iber—which is similar to those found in Formula 1 cars. The entire chassis weighs just 231 pounds. All 10 units are spoken for, at a price of $2.85 million each. The IE’s design is heavily focused on aerodynamics. The body takes inspiration from next-gen ighter jets and sharks alike to ind the most aero-eicient exterior. The narrow, teardrop-shaped glass cockpit helps conduct air over these aggressive body panels, and when combined with the dramatic rear spine, wing mounts, and curved wing, the IE can summon over 2,970 pounds of downforce. The car features Formula 1–inspired double-wishbone suspension, with full pushrod and rocker arm designs at front and back, plus the adjustable anti-roll bars usually reserved for racers with a number and sponsors on the livery. Three modes (Auto, Comfort, and Sport) give drivers the ability to customize their IE for that day’s drive, while an electrohydraulic liter system helps on speed bumps and potholes.